1st Gear: That's Way More Than 13 While GM has acknowledged at least 13 people have been killed in cars with the defect behind the company's massive recall of Cobalt/Ions, the Kenneth Feinberg-administered compensation fund has been hit with 100 death claims. That's a big difference. There are also 184 injury claims thus far, according to the Detroit Free Press. It's up to Feinberg to determine whether or not someone killed in the crash was killed largely because of the ignition switch. Right now we have no idea how many of those 100 death claims will hold up. BYD had an almost 600% rise in the sale of electric/hybrid vehicles as Beijing is trying to get more consumers in China to buy domestically-built green cars. Poor sales of gasoline-powered cars and continued losses from a division that makes solar panels knocked BYD's first-half profit down 15% versus the previous year to 361 million yuan ($58.7 million), the Shenzhen company said Sunday. There's a history of China that's going to be told and a section of it is going to start with this crash and maybe end with a ton of fines against foreign automakers as the country goes crazy trying to get rid of "corruption." China's corruption watchdog said on Tuesday it is investigating one former and one current executive at Volkswagen AG's (VOWG_p.DE) Chinese venture, FAW-Volkswagen Automotive Co Ltd, for "seriously violating the law." The announcement, posted on website of the Central Commission for Discipline Inspection of the Communist Party of China, identified the two as former deputy general manager Li Wu and Zhou Chun, deputy general manager of the joint venture's Audi sales division. This is all interesting. I need better sources for what's going on in China, so please suggest some. If China can do it, why can't India? As the car market gets a little shaky at home, the Indian government has fined Honda, GM, and a dozen other automakers $420 million for anti-trust violations over spart part price-fixing. The fines were equivalent to 2 percent of the carmakers’ three-year average revenue in India, according to a Competition Commission of India order dated Aug. 25. The regulator also ordered the companies to provide spare parts and diagnostic tools to independent garages, and honor warranties on cars repaired by them after markups reached as high as 4,817 percent. “The car companies charged arbitrary and high prices for their spare parts” through their monopolistic control, the commission said in a statement. Car companies were also found to be “distorting fair competition” by using their dominant position to protect their market for repair services, it said. Some good news for Lincoln as Ford thinks the MKC — an admittedly attractive proposition — will do well enough that it'll need to add about $129 million worth of investment and 300 jobs to the Louisville plant where it's built. His eyes then nervously darted to the corner of a room where a tall stranger in a black hat sidled in, his hand resting on his holstered Glock. Neutral: How Many Deaths Is Too Many Deaths? 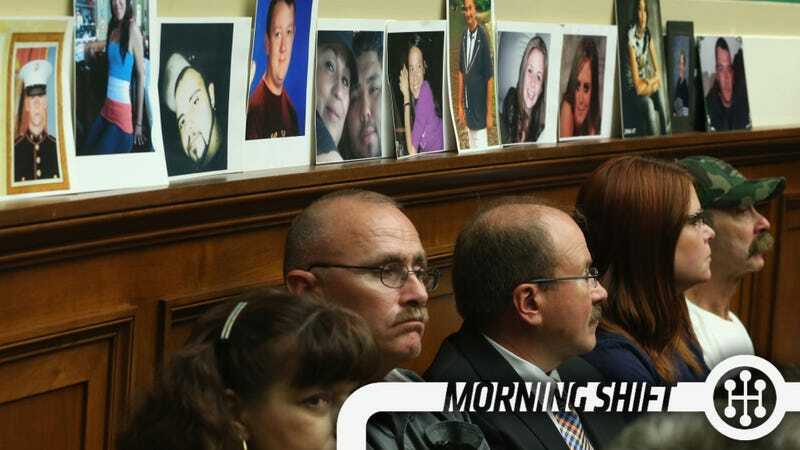 If GM approves compensation for 100 deaths does that look that much worse than 13? What's the number where it goes from "Oh, that's what we expected" to "Yeesh."